On December 11, 2018, units were dispatched to a fire at a business on New Market Court. 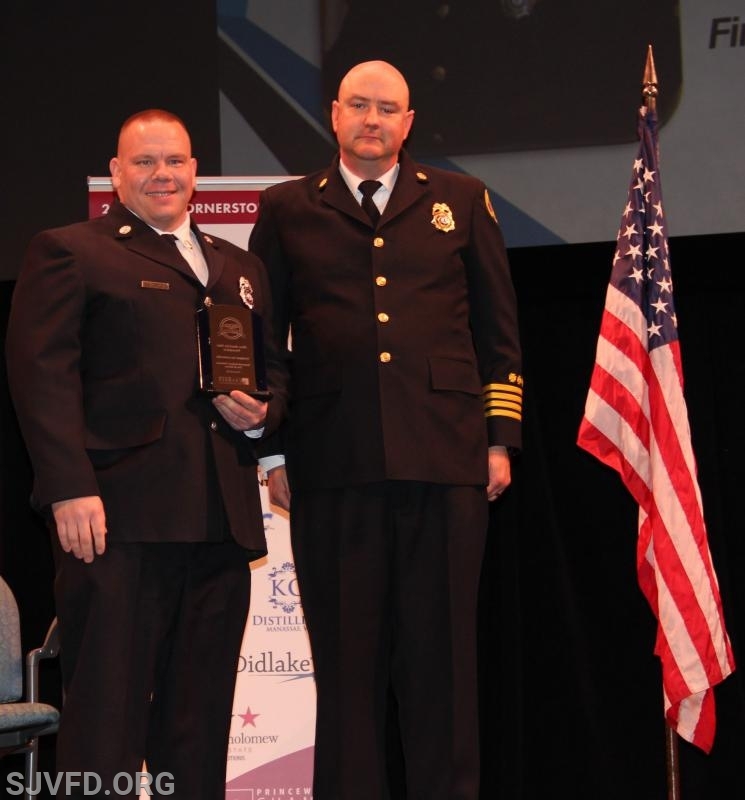 Stonewall Jackson Volunteer Firefighter Ian Lauderdale was off-duty nearby when he was alerted to the fire by PulsePoint, a cell phone application integrated with Prince William County’s 911 system to alert citizens to emergencies. Lauderdale proceeded to the scene, arrived ahead of fire units, and observed heavy smoke in the business. He yelled inside the open front door of the business to make sure everyone was out. Receiving no responses, he closed the door in order to slow the growth of the fire. Observing the spread of smoke and fire into adjoining businesses, and without benefit of protective gear or consideration for his own safety, Firefighter Lauderdale began entering neighboring businesses and evacuating civilians. He encountered a group of special-needs students and their teachers in one business and escorted them out as smoke was entering the area. Returning to the original fire area, he discovered an employee with soot on her face and around her nose and directed her to arriving EMS units. As on-duty crews began to arrive, Ian knelt at the door of the original business and fed hoseline to firefighters inside, speeding their advance. 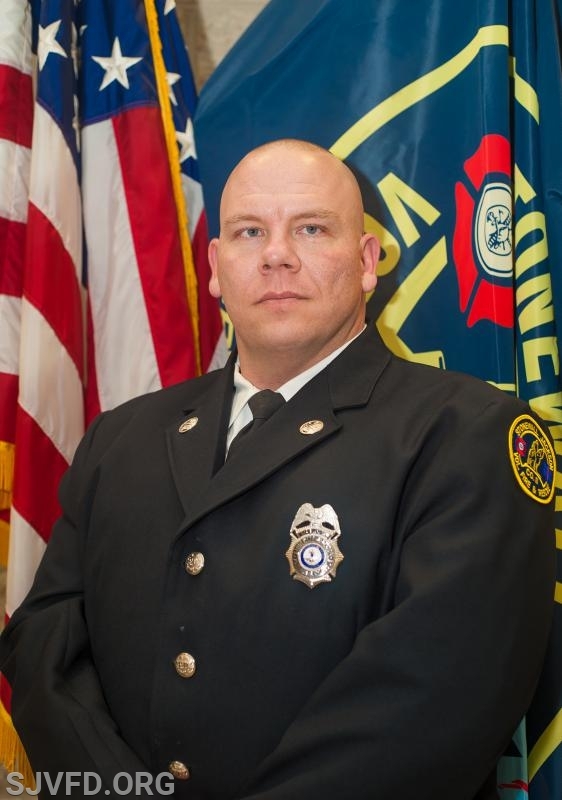 While off-duty and acting without the benefit of protective equipment or teammates at the scene of a working commercial fire, Firefighter Lauderdale placed himself at great personal risk. His actions removed a number of citizens from danger, enhanced firefighting operations, and reduced property damage. 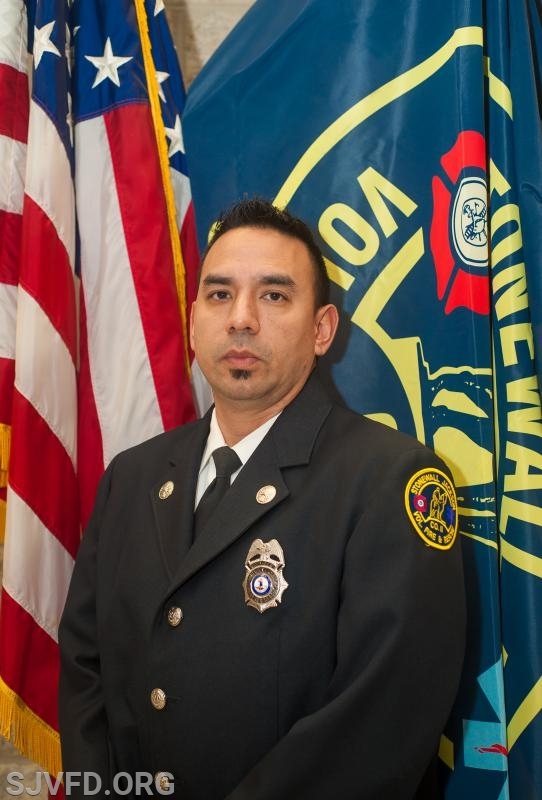 On February 18, 2018, Stonewall Jackson Volunteer Firefighter-EMT Carlos Ambrosini was tending to personal business at the Fairfax County Courthouse. As he was walking through the courthouse, he heard an alarm sounding from a nearby AED cabinet that had been opened. He then saw some Fairfax County Deputy Sheriffs running toward the front entrance of the courthouse. Because a firefighter is never off-duty, he followed them and found a Sheriff’s Deputy beginning hands-only CPR on an unconscious and unresponsive female. As a trained and experienced EMT, Carlos took over the situation. He had the deputy continue compressions while he conducted a rapid assessment of the patient. Carlos then applied the AED pads and delivered a total of three shocks, directing the deputies to continue hands-only CPR in between. He attempted to obtain a pocket mask to commence rescue breathing as well, but one was not available. 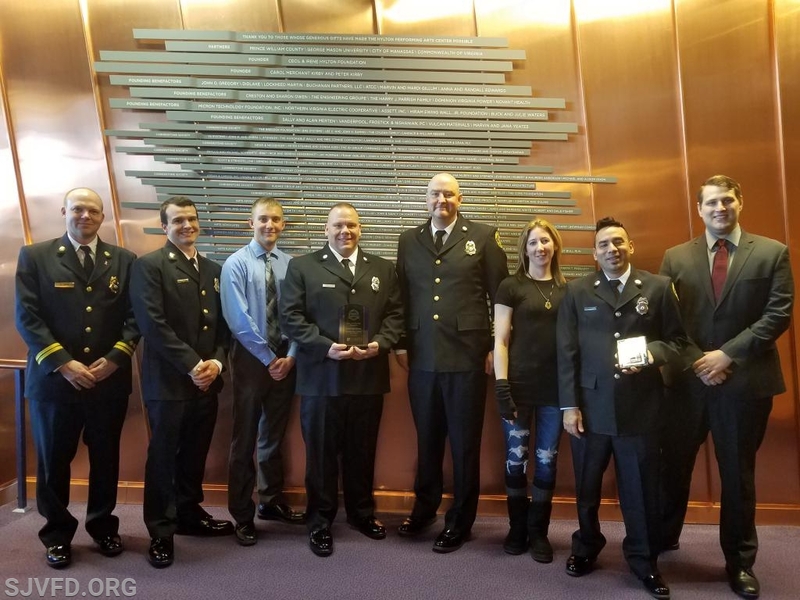 Following the third shock, the patient regained a pulse and was breathing on her own by the time paramedics from Fairfax County Fire and Rescue arrived. 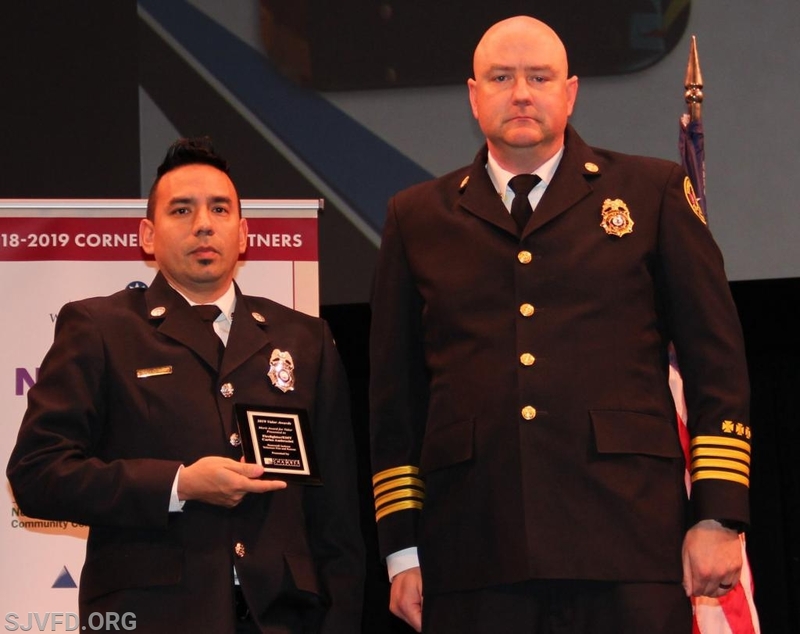 Carlos’ training and experience gained in service to Prince William County resulted in a life being saved when he was he was least expecting to be called upon.